Well, it's official... Lori and Chris are hitched!!! For aa quick recap of how awesome these two are, take a look here at their engagement photos! While they have been lounging away in Jamaica (doesn't THAT sound incredible!) 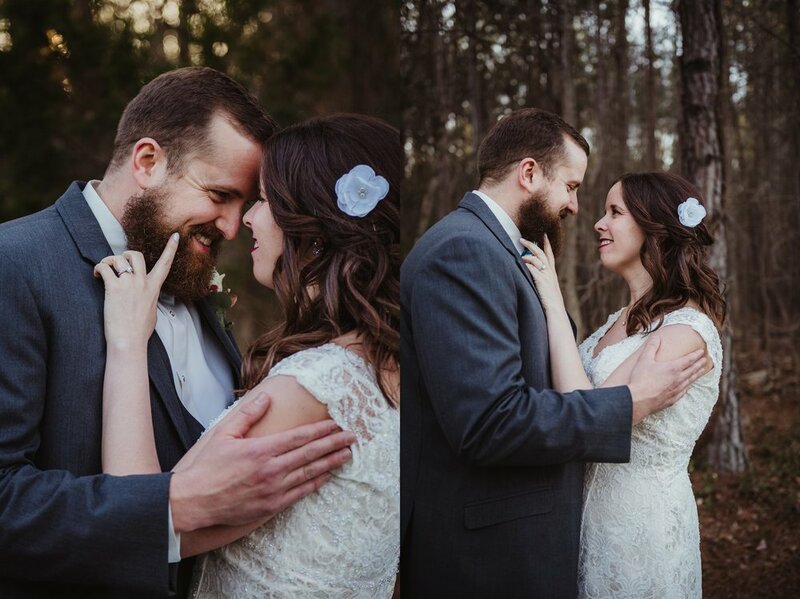 I have been going through their THOUSANDS of pictures we took from their wedding to try and give you a little peek into what their day was like! 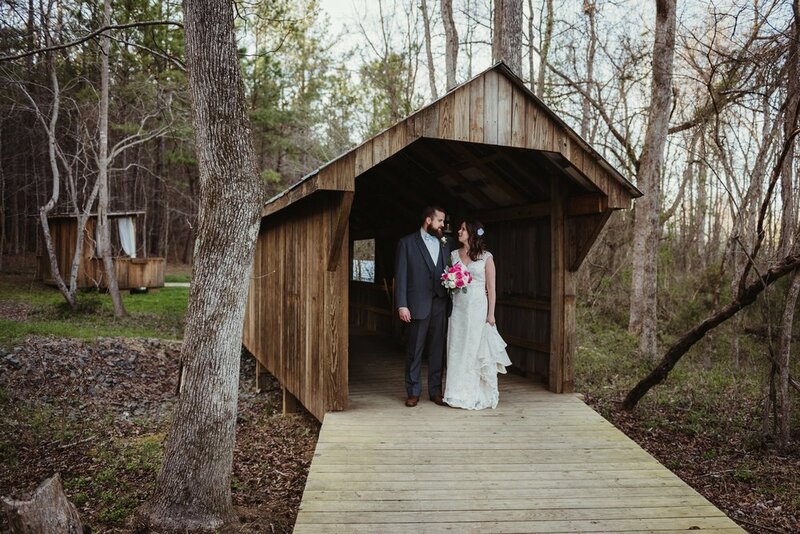 My second shooter and I (the fabulous Kate from Kate Cherry Photography) got to Carlee Farm in Oxford, where we met Gena Stephens, the owner and planner there. 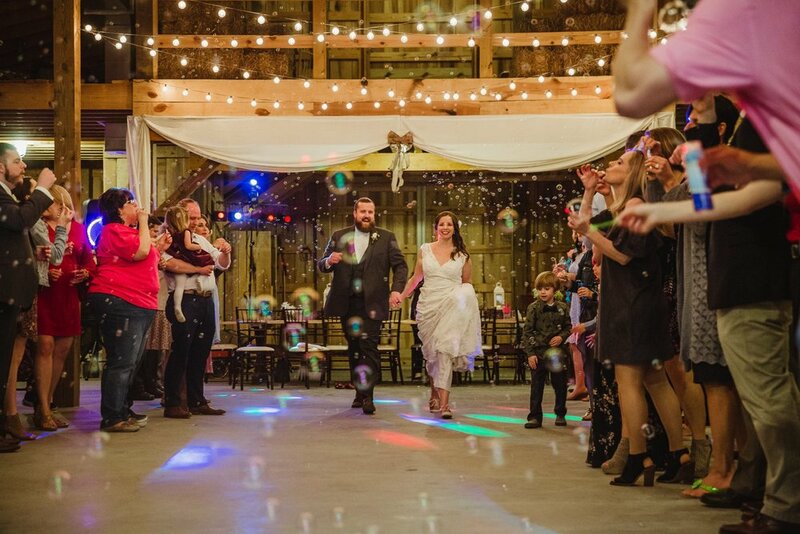 We went up in the loft where Lori finalized her prep and got her dress on. Picture hay bales, wooden beams and market lights. So pretty!! Her hair had been done by Melanie at The Hair Garden and was in a half up-do. 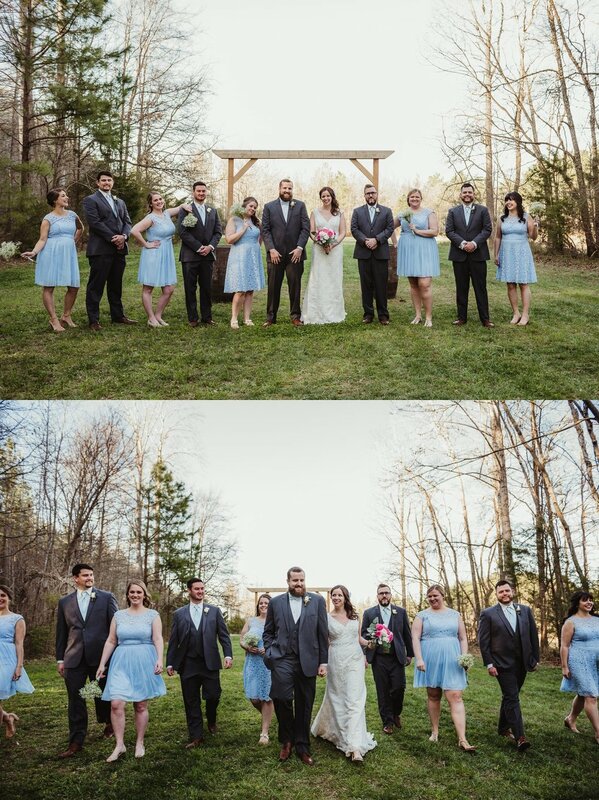 Lori's dress from David's Bridal was lace and full of gorgeous details, while all of her ladies wore Carolina blue knee-length dresses. 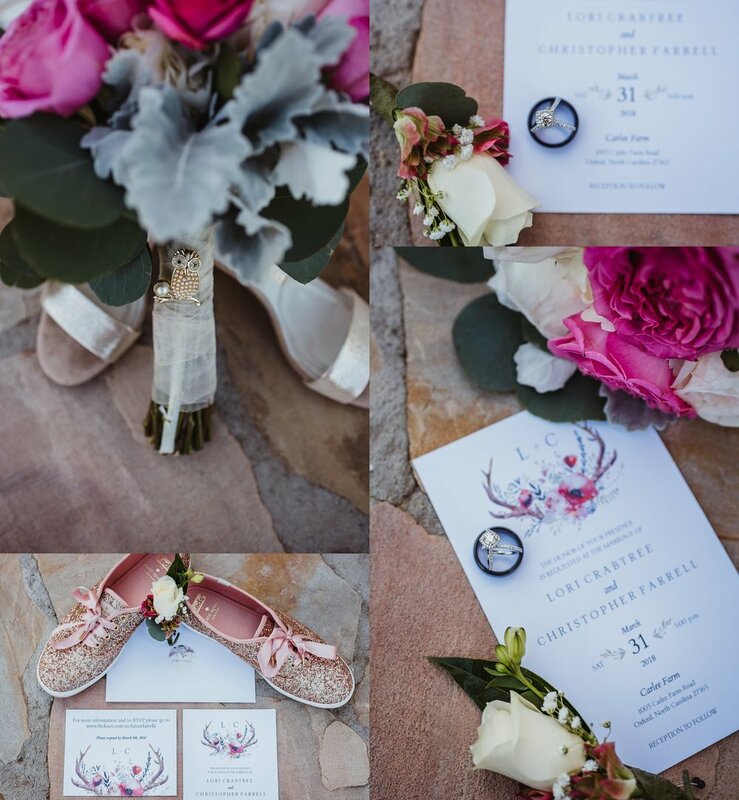 All the dresses and flowers matched the gorgeous watercolor invites, made by the bride from Vistaprint. 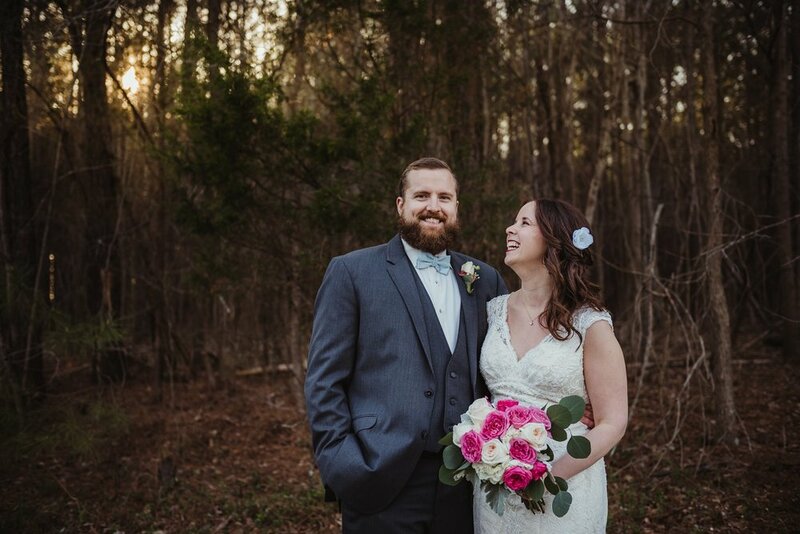 The bridesmaids held bouquets of baby's breath, while Lori's bouquet, made from Harris Teeter flowers, held white and pink roses with touches of greenery. 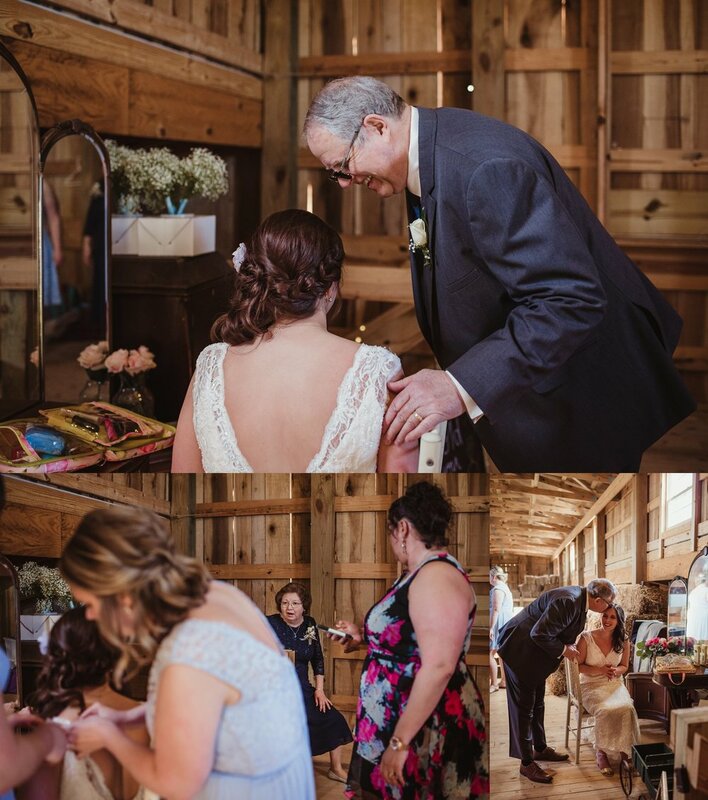 Lori also had her Grandma's owl brooch attached to her bouquet handle. Chris' gray suit and vest came from VIP Formalwear and was complimented by a light blue bowtie and a white rose boutonniere to match. The rings, from Diamonds Direct, matched their personalities perfectly and were super sparkly and awesome! 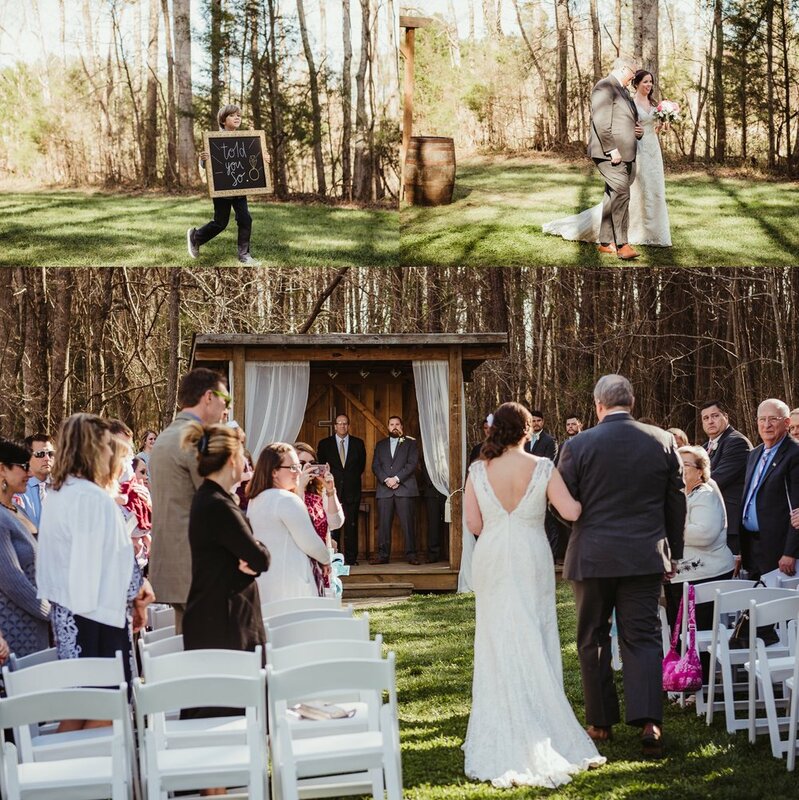 The ceremony was sweet, outside under the arbor and next to the covered bridge, and once inside to party, the DJ played amazing tunes while the bride and groom cut into their confetti wedding cake from Nothing Bundt Cakes. There was dancing, twirling, eating of BBQ made by family friends, and (unfortunately for me) lots of dabbing. LOTS of dabbing. ;) But also LOTS of fun was had by all!!! Lori and Chris, congratulations to the two of you. Here's to a long life together filled with tacos, laughter, and me... because you're stuck with me. ;) Love you guys!!! !